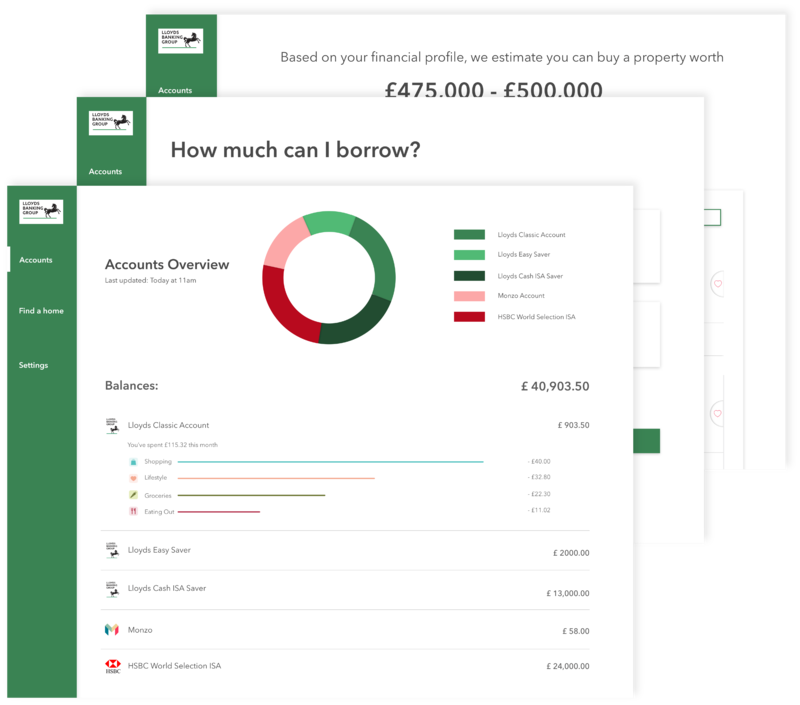 FOOBA is an answer to the Lloyds Banking Group open banking hackathon challenge. Our group created a proof of concept that helped customers choose mortgages that they could afford based on their spending habits, while reducing the risk of lending from the banks perscpective. 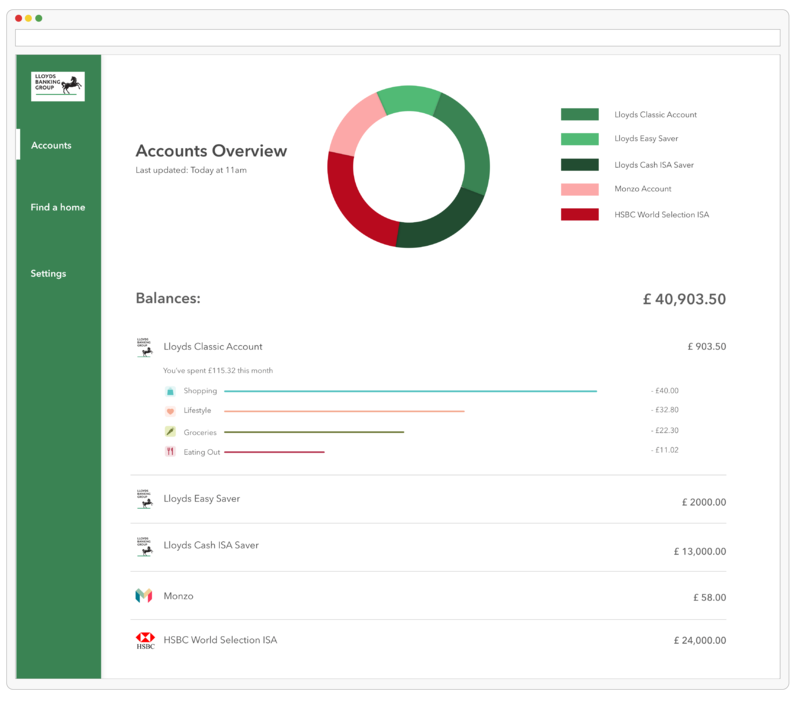 FOOBA is an answer to the Lloyds Banking Group open banking challenge. Our group created a proof of concept that helped customers choose mortgages that they could afford based on their spending habits, while reducing the risk of lending from the banks perscpective. After the EU legislative changes, Banks in the EU can now, with explicit permission from the user, share customer data to other banking institutions via APIs. Opening up the possibilities new products and experiences. Bank to the future’s challenged us to come up with such experiences. 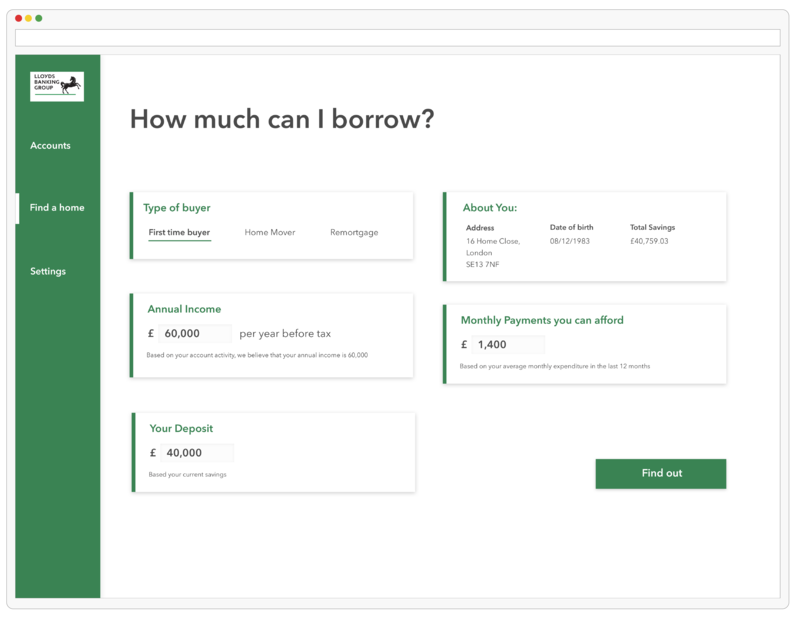 Lloyds Banking Group (LBG) lend to 1 in 4 first time buyers in the UK, FOOBA is a solution that creates a better experience for new homebuyers and at the same time reduces the risk of lending for LBG. Getting a mortage is scary for a first time buyer, knowing where to look, what they can afford and going through the legal processes are a daunting task. A person's income and credit rating cannot accurately show whether or not they can afford a home. It doesn't take into account spending or lifestyle habits. Aggragating open banking data can create a better picture of the home buyer's risk profile. An online banking feature that shows what properties what potential buyers can realistically afford based on their habits, lifestyles and expenditure. This project utilised the Jobs to be Done (JTBD) framework. Something that I've been experimenting with on smaller projects such as this one. Based on merchant data and Google Maps APIs, the transactions are categorised into groups such as shopping, lifestyle, eating out etc. Many first time buyers find the whole process daunting... How might we make this process a easier? 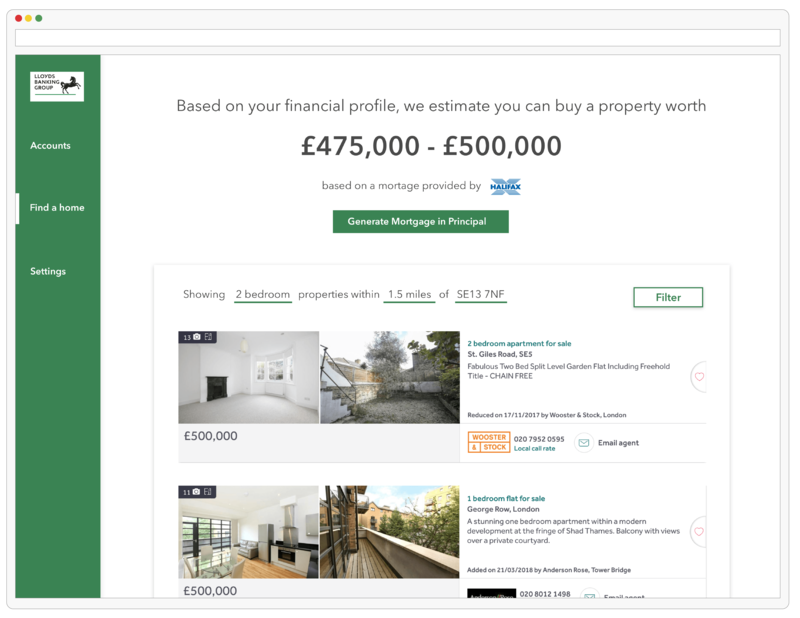 Directly shows user which homes they can afford, rather than mortagage amounts. Allowing the platfrom to make the users' over experience less daunting. Users can filter through this listings and change the criteria to match their preferences.